From 1 July 2018, the Therapeutic Goods Administration took over the complaint system for the advertising therapeutic goods to the public from the Complaint Resolution Panel (CRP). Many concerns about this TGA takeover were submitted in consultation submissions. They were ignored. The TGA’s new complaint system was much less transparent than the one it replaced. The promised Therapeutic Goods Advertising Committee to oversee the new system had yet to be established. I have yet to receive a response from Minister Hunt, presumably because he has been too engaged with the recent leadership turmoil within the Liberal Party. The lack of transparency of the new TGA complaint system provides no help to consumers concerned that they may have purchased a product with upheld complaints, or consumers who wish to check the status of a product currently being advertised, even if the product has been the subject of a “critical” complaint. While this is convenient for industry and the TGA, it is appalling consumer protection. I have corresponded with the Australian Competition and Consumer Commission (ACCC) about this matter. 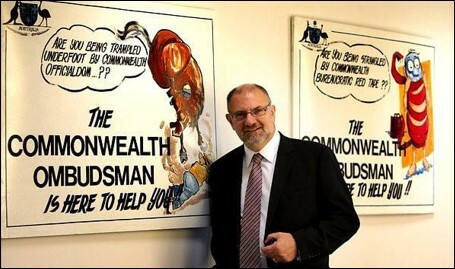 They suggested I contact the Commonwealth Ombudsman. This has now been done. The product name and advertiser of all complaints judged to breach of the Therapeutic Goods Advertising Code be reported and be searchable on the TGA web site. The TGA follow up “educational letters” and other interventions and report if compliance has been achieved. The TGA report outcomes for the large numbers of complaints sent by the CRP to the TGA because regulatory action was needed. This entry was posted in Medicine policy, Pharmaceutical Promotion and tagged advertisments, Commonwealth Ombudsman, Complaint Resolution Panel, Regulatory Reform, TGA, Therapeutic Goods Advertising Code, Therapeutic Goods Amendment (2017 Measures No. 1) Bill 2017, Transparency. Bookmark the permalink.